Allegro Fudge at The BFlat Bar, Bangalore | WhatsTheScene? 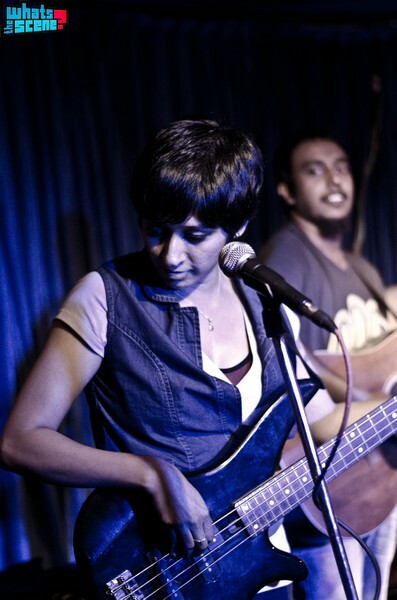 Allegro Fudge – a contemporary acoustic rock band had a modest crowd gathered at The BFlat Bar in Indiranagar on the 8th of June to listen to music from their new album Maximum City. 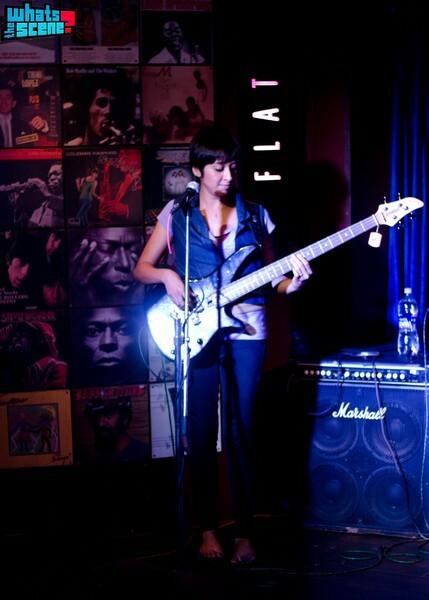 Strong influences of jazz, pop and folk music make for their unique sound. The band seemed to be enjoying every second on stage and kept the small assembly of enthusiastic listeners near the stage thoroughly engaged. The show kicked off at 9 p.m. with ‘Hear Them Say‘, a bluesy tune that I enjoyed a lot. The song has a nice up- tempo break in between which adds some oomph to their sound. The first thing that struck me when Allegro Fudge opened their set is that they are all individually very talented musicians. The band went on to play ‘Far Away’ and ‘Yellow‘ by Coldplay. The keyboard forms an important part of their sound and is almost a lead instrument in itself. 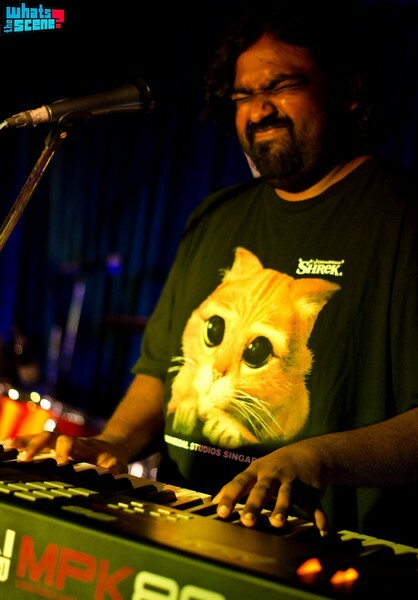 The keyboardist, Jason Zacharaiah, added a level of complexity to the sound which kept the music engaging. I really enjoyed the “blues face” he’d make when it was his time to jam out! The band followed with some more originals, ‘Colors Fly’, ‘Day Dreamer’ and ‘˜Waiting’. The crowd really got going by now and a few people could be seen dancing animatedly to the music. Anish’s guitar work was particularly enjoyable on the latter part of the setlist. 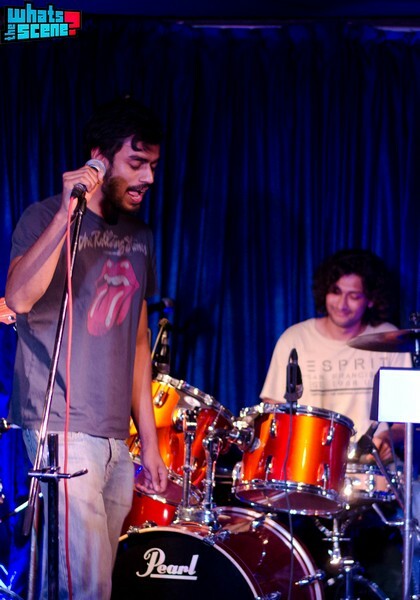 The drummer, Kishan Balaji, also did a fantastic job throughout the set and played with a lot of feel and dynamics. They ended their set with ‘When We’re Gone’, ‘Maximum City‘ and ‘Hey Jude’. The Beatles cover was a good concluding track with the audience singing along and Saahas walking off the stage with his mike to egg people on to join in, to which they readily obliged. Galeej Gurus’ guitarist Ananth Menon then took over the vocal and guitar duties and played some blues for us with the remainder of Allegro Fudge helping out and at this point, the audience just didn’t seem to want to leave. Most of the tracks Allegro Fudge played can be found on their new album which is out online and is soon to be released on disk. The band still has a lot of work to do in terms of keeping their scarce live performances a little more engaging with more stage presence but Allegro Fudge is most definitely a band to watch out for!